← Could Your Adult Child with Autism Continue to Live with You? 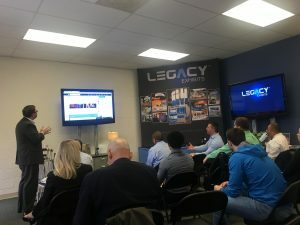 Dr. Andrina Yankah had the opportunity to attend a professional workshop presented by Mike Shelah and hosted by Patrick Shek and his team at Legacy Exhibits. Did connect to some brilliant and amazing people all impacting and serving people and businesses in our local community right here in Columbia, Maryland and surrounding cities. This entry was posted in Company News, Professional Workshop and tagged Professional Workshop. Bookmark the permalink.